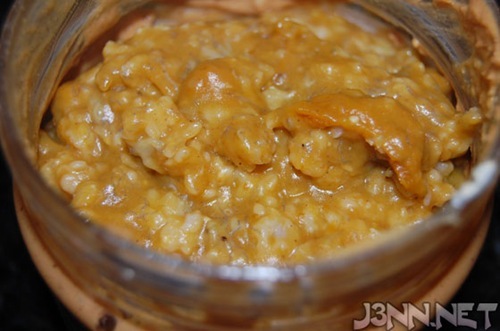 Kath inspired me to try pumpkin oatmeal and oatmeal in a jar, so, I’d like to share my "pumpkin oats in a jar" topping experiment with you. 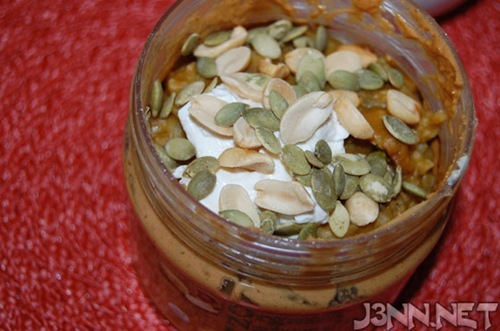 I love pumpkin bread or muffins with cream cheese, and thought that it might taste good on pumpkin oats, too. So, I gave it a try and let me tell you, it was AWESOME! If you like pumpkin bread/muffins with cream cheese, then I highly recommend trying your pumpkin oats with cream cheese on top, it’s heavenly! 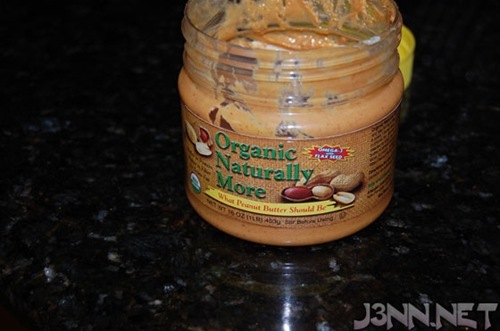 I LOVE naturally more pb! never thought to add cream cheese to the mix…looks and sounds delish. OMG those oats are TDF!!! I never thought to add cream cheese, but that’s definitely going to change. Ahh! I’ve been dreaming of pumpkin & cream cheese on toast–but i think your way trumps that!! oh ive done this before, and man oh man was it good! pumpkin + cream cheese is a match made in heaven 🙂 i even made cookies with the combo too! Those oats look fantastic! I love pumpkin cream cheese muffins, I bet your oats would be right up my alley! swooooon! that breakfast looks incredible! 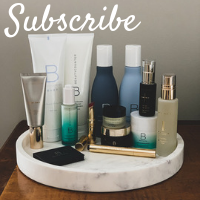 thank you for the idea! Oh snap that looks good! My own blog has me craving oats!!! wow those look and sound amazinggg! What a great idea. I love this time of year, with all of the pumpkin recipes popping up everywhere! I wonder how it would be with fresh pumpkin (cooked of course). I love buying up a bunch of pumpkins now while they are cheap. I try to cook them and freeze so I can use them throughout the year, and avoid the canned stuff. Wow, this looks yummy and I’m so going to adjust it a bit (no nanner too carbtastic for this diabetic) and give it a try! I adore pumpkin anything! mmm! looks great! i love naturally more pb! although i haven’t tried the organic one yet! 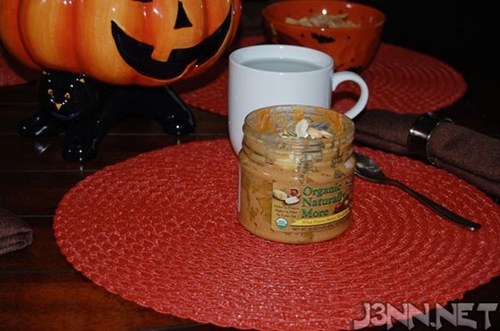 love your pumpkin oats! 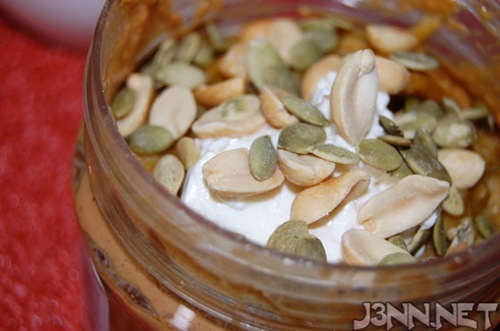 cream cheese is such a genius addition, and naturally more PB is such a great product. That looked amazing! 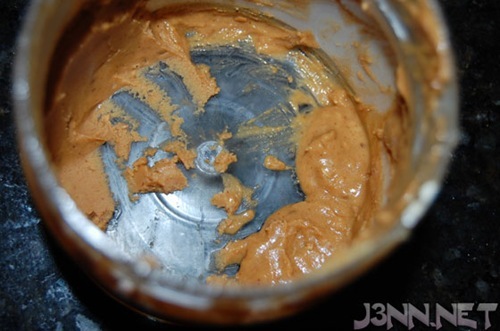 I’m dying to try that type of nut butter. This sounds soooo great and I think I will try it really soon. So you did not use any liquid to make the oats or you cooked them and then added pumpkin, banana…? Never have thought about adding cream cheese… interesting! Sounds like the perfect fall breakfast. Thanks for the great idea! 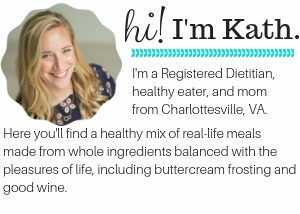 the addition of cream cheese sounds great! I never thought of this but I love cream cheese on pumpkin bread and cream cheese frosting on the mufins. Thanks for the awesome idea! Wow, I’ve never known so many delicious ways to eat oats -thanks for all the wonderful ways to start the day! I have never had cream cheese in oats, but this looks sooooo good!